EPEXYL has grown rapidly and gained international recognition in the past 3 years. In 2014 the company employed 15 people and operated only in the Greek market, while today it has 100 permanent and 50 part-time employees, operates in four of the five continents, and has subsidiaries in France, the United Kingdom and the US (New York). The company has extensive expertise in specialized woodworks. Recently, EPEXYL delivered its projects at the Stavros Niarchos Foundation Cultural Center in Greece and the new Paris Courthouse. Furthermore, the company participates in some of the biggest construction projects around the globe, including Hudson Yard, the largest private investment in US history, with a total budget of 25 billion USD. (i) the company’s growth rate, (ii) high taxation which needs to be prepaid, (iii) the large investments it has made in the past 3 years using own equity, and (iv) the financial and project size of its clientele, created the financing need for EPEXYL. It is clear that there are a number of difficulties in working with Greek banks today, and significant hurdles to receive funding from them. It was in this context that the company contacted CNL Capital to fund specific contracts. CNL Capital provided a swift solution after understanding the company’s needs extensively. 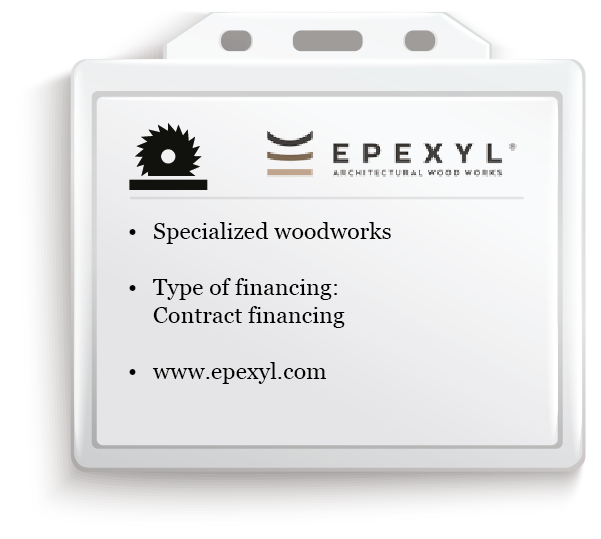 They are considered a valuable partner by EPEXYL owing to their directness, honesty, consistency, professionalism, and the respect with which they treated the company and its efforts of the past few years.